alaTest ha raccolto ed analizzato 1691 recensioni su Sony Ericsson W200i. La media della valutazione per questo prodotto è 3.8/5, confrontata con la media della valutazione di 4.1/5 per altri Cellulari. Le persone rispondono positivamente alla qualità suono e dimensione. In aggiunta, prezzo e portabilità ottengono buone opinioni. La performance e la fotocamera hanno opinioni critiche. Ci sono alcuni commenti comuni circa durata batteria. Abbiamo analizzato differenti valutazioni di esperti ed utenti, età del prodotto ed altri elementi. A confronto con altri Cellulari, Sony Ericsson W200i ha ottenuto un alaScore™ complessivo di 83/100 = qualità Molto buono. The W200i is a solid budget mobile phone, but the lack of Bluetooth may be enough for some to give it a miss. 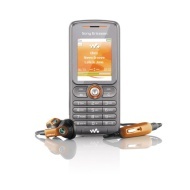 The W200i is the cheapest phone in Sony Ericsson's Walkman range. It's a tiny handset in a vivid shade of pink, but it's also available in black for the same price. The W200i is an entry level music phone with the famous Walkman branding, but in its case you're paying a lot for a logo -- even if it is an entry-level phone. Not everybody wants or needs all the functionality and style of a high-priced mobile phone. The Sony Ericsson W200i model is aimed at such users. Described by Steve Walker (Head of Product Marketing at Sony Ericsson) as "an affordable music phone that compliments your existing MP3 player", the W200i phone is a candy bar unit aimed at the budget-conscious area of the marketplace. For £30, the Sony Ericsson W200i is a real bargain. Camera is of course naff. You get a tiny screen, no 3G, but the W200i does all the basics well enough and you get an entry-level Walkman player. Smokin'. Carphone Warehouse loves you. Everything you need for a full Walkman experience: included in the phone box you'll find software for copying music CD-to-phone, a 128MB memory card and a stereo handsfree. Just keep your Walkman player or FM Radio tuned in and turned on. It works, no doubts about that, and what it can do, it does quite well.